When you reach any border crossing, you can expect your documents and personal items to be scrutinized. This is all part of national security and the same can be said for foreigners entering Canada. These officials have the right to refuse entry to anyone they deem ineligible or even if they are vaguely suspicious of you. It’s no wonder visiting a foreign country can be so stressful! America is the most common international destination for Canadians. Both for business and pleasure, visiting various parts of the United States has become almost as common as travelling from one province to another. If you have a conviction like DUI, theft, fraud, and/or possession on your criminal record, that can make travelling to the US very difficult. In order to negate the impact of a past conviction, you will need to obtain a pardons Canada and/or a US entry waiver. If you are thinking that you shouldn’t have a problem because you have already crossed the border several times in the past, think again. You could have been lucky all of those other times but you never know when your luck is going to run out. When it does, it will make future trips to the United States that much more difficult because they will take an extra long look at your documents. If you have any kind of charge on your record, it is important that you have this charge cleared by applying for pardons Canada and/or a US entry waiver before attempting to travel abroad. If you were arrested or charged with a crime but the charge was dropped or dismissed, you will still have a record. Apply for record expungement in order to clear your name. If there is a record of a stay or discharge, these terms are not readily used in the United States which means that it will raise a red flag for any official checking your credentials and history. If you were convicted of a crime, you will need a Canadian pardon. Pardons Canada are somewhat more complex and you will need to gather all of the relevant documentation before you can apply. In addition, you also need to fulfil certain criteria such as the waiting period after the sentence has been carried out (time served, fines paid in full, etc). If you have already been denied entry into the country, you will need a US Entry Waiver. Applying for this waiver is considerably complex, time-consuming and it tends to cost a fair bit more than a pardon. A NEXUS card can be obtained if you have obtained a pardon but every circumstance is different and it will depend on the offence. If you have been denied entry to the United States, you will not be able to apply for a NEXUS card. Remember, before you apply for a NEXUS card, make sure that your record is clear! In other words, make sure that your pardon application is processed and approved before making any travel plans. If you are planning on applying for your dream job, or any job for that matter, you can expect your prospective employer to take a look into your past. This means that any DUI, possession, fraud, or theft convictions will be revealed. If you have obtained a pardons Canada for your DUI conviction, for example, then you can rest assured that these records are sealed and no longer appear on your criminal record. Many people wonder if they should disclose their criminal record if you have been pardoned. Simply put, lying can have negative results if the truth comes to light after you’ve been hired. You can be honest on your application while also including the fact that you have received a Canadian pardon. This will show the employer that you are committed to staying on the right side of the law. Full disclosure also ensures that your history cannot come back to haunt you. 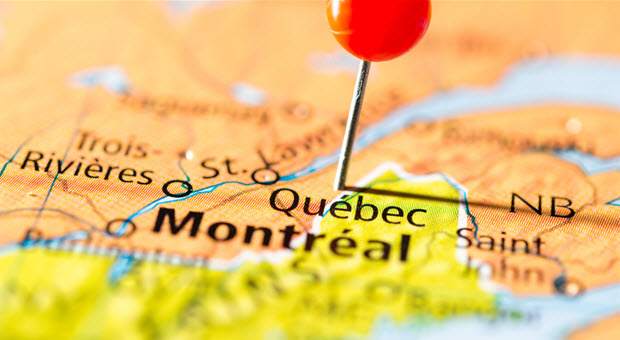 With the help of Federal Pardon Waiver Services, Quebec residents can apply for pardons Canada to clear their theft, DUI, possession, and/or fraud convictions. Call 1 (800) 543-2137 to find out more about your eligibility and to learn more about how to obtain your RCMP file and begin the pardons Canada application process.